Web offset presses require improved short-run performances in order for printers to succeed in today's economic climate and to meet the diversifying needs of their market(s). Machines must satisfy numerous comprehensive fundamentals that lead to better printed results. 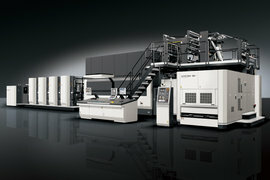 Consistency, accuracy and efficiency are key elements of the Komori SYSTEM Series. 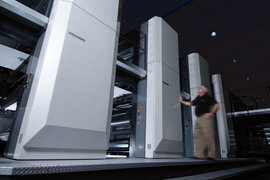 The SYSTEM series contains nothing but high-quality, high-performance web printing presses. Delivering predictable print quality at maximum speed, ensuring high productivity at superior cost performance while working environmentally friendly, these machines offer printers just that.